On the evening of April 20, 2010, Deepwater Horizon suffered a blowout while drilling in the Macondo Prospect, an area in the Gulf of Mexico 40 miles off the southeast coast of Louisiana. The platform caught fire; two days later, it sank. Numerous attempts were made to seal the well, but oil continued to spew into the Gulf until July 15, when a temporary cap was put in place. Relief wells then pumped concrete into the area directly underneath the wellhead, and the well was deemed permanently sealed in mid-September. Deepwater Horizon was a semi-submersible, dynamically positioned drilling platform, or mobile offshore drilling unit (MODU). In layman’s terms, it was a huge floating oil rig, capable of adjusting position under its own power, and designed to operate in water up to 8000 feet and drill wells nearly 6 miles deep. Blowouts occur when pressurized oil and gas flow uncontrolled up the drill pipe and spill onto the deck, posing extreme risk to the people operating the rig, as well as possible damage to the environment and the platform itself. 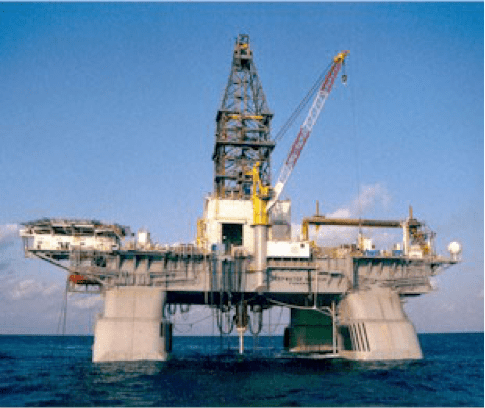 To prevent this situation, modern rigs are equipped with blowout preventers, or BOP stacks, huge structures that sit on the sea floor directly over the wellhead . The drill pipe passes through the BOP stack, which contains a number of mechanisms—shear rams, bore rams, annular preventers, and a host of electronic and hydraulic assemblies—that are supposed to shut the well down safely in the event of a blowout. This entry was posted in CAD/CAM/FMEA, Energy and tagged deepwater horizon, DNV, FEA, product design and development. Bookmark the permalink.